Who needs red sauce? A few simple pantry spices can make you a great alternative! Great as an appetizer or a quick meal if you don't have a lot of time. 2Mix spices, add 1/2 of olive oil onto plate with half of spice mix. 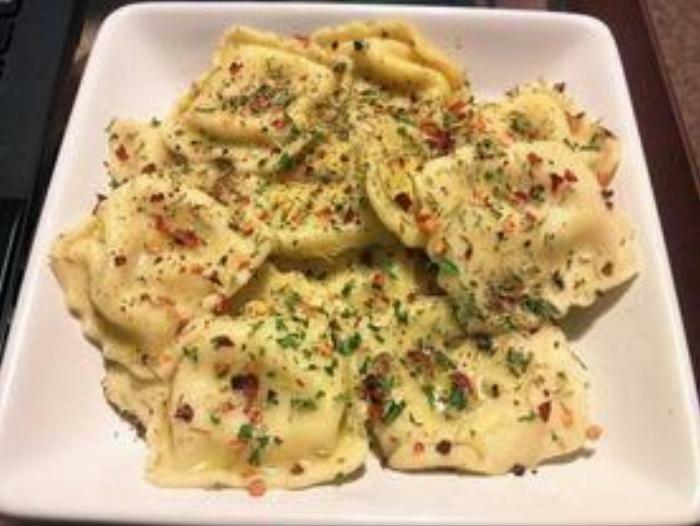 3Plate ravioli, drizzle rest of olive oil over top, add remaining spices.